Lock the swivel wheel in place when you're jogging, then unlock it for easy low speed strolling. Your child will rest safely within the adjustable 5-point safety harness, and tether strap. The adjustable canopy and covered sunroof ratchets to block the sun and wind. Give your children the most comfortable ride with our multi-position, reclining, padded seats. The parent’s trays feature 2 cup holders, covered compartment storage and speakers with an MP3 player plug-in. An extra-wide, ergonomically-shaped, foam-padded handle; all-terrain bicycle tires and lightweight steel frame contribute to the jogger's reliable ease of use. Reflectors provide great low-light visibility, and extra-large basket offers convenient storage underneath the jogger. 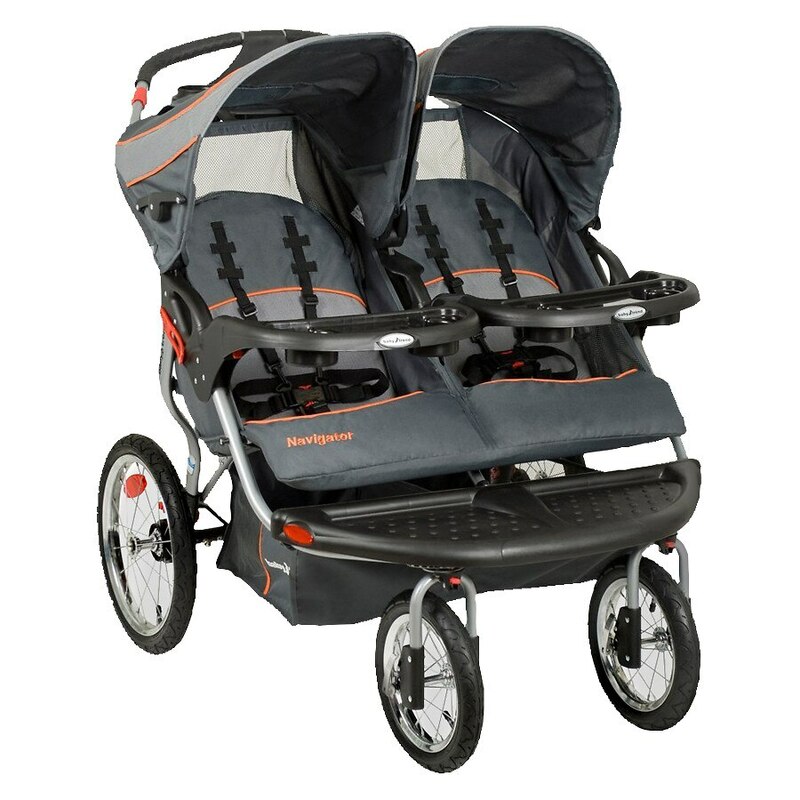 The Navigator Jogging Stroller features two child trays that each accept Baby Trend Infant Car Seats (sold separately) to form a Travel System. When you're done with your stroll, simply activate the trigger fold mechanism to reduce the stroller to a compact unit.